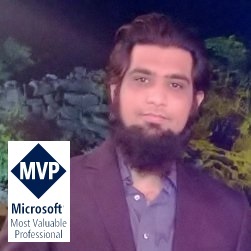 I have created a Meetup group named “Microsoft Technology Practices User Group” that focuses on latest tools and technologies on Microsoft Platform. The vision of this group is to help the developer community to share, explore, learn and develop things on upcoming and latest Microsoft technology stack. This group is only 2 weeks old, and I believe the more we grow we will get more sponsors which will intimately provide more perks and benefits to the members of this group in terms of links to different training materials and sample projects and subscriptions to paid content. This is completely based on volunteer ship and everyone has to work together to expand and grow. Active members will get opportunities to give presentations, trainings and demo sessions to the developer community time to time which will certainly help them to polish their other i.e. communication, presentation skills as well. Anyone can join this group but should be passionate of sharing and learning things on Microsoft technologies. If you want to be a member, please visit the site http://meetup.com/MSTPUG and join! Hope to see you in the upcoming events.